سواءً كنت مسافراً بغرض السياحة أو العمل, ibis budget Casula Liverpool هو خيار عظيم للإقامة خلال زيارتك سيدني. إن موقعه الجيد الذي يبعد 18.3 km فقط عن مركز المدينة يساعد النزلاء على الاستمتاع بمعالم المدينة ونشاطاتها. بالنسبة لمن يريد الخروج، هذه بعض المعالم السياحية المتوفرة للزوار مستشفى ليفربول, نيو برايتون, Artery Aboriginal Art sydney. 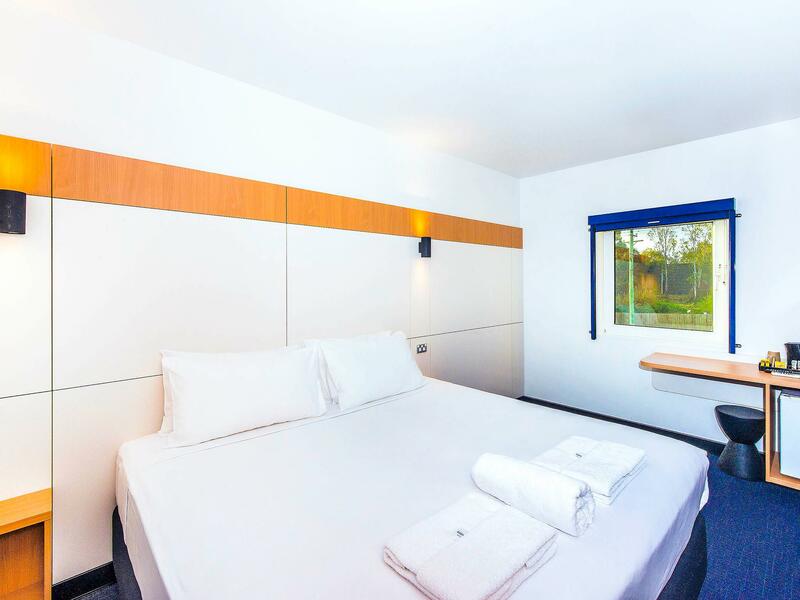 يعرف Accor Hotels بالمستوى الراقي لخدماته ولباقة موظفيه، وهذا ما ستجده في ibis budget Casula Liverpool. هذه بعض الخدمات الموجودة في هذا الفندق: خدمة التنظيف يوميًا, مجهز لذوي الإحتياجات الخاصة, مرافق مخصصة لذوي الاحتياجات الخاصة, تخزين الأمتعة, واي فاي في المناطق العامة. بالإضافة لهذا,تتضمن كل غرف الضيوف مجموعة واسعة من وسائل الراحة . بعض الغرف توفر حتى سجاد, بياضات, مرآة, مناشف, إغلاق لإرضاء أكثر الضيوف تطلباً. يقدم الفندق مجموعة واسعة من وسائل الراحة المتنوعة، كمثل: مسار جولف - ضمن 3 كم, حديقة. مهما كانت أسبابك لزيارة سيدني، فإن ibis budget Casula Liverpool هو الخيار الأفضل لإقامة مثيرة وممتعة. Breakfast used to be good and more variaty before. But now just became simple one. Others are perfect. room was so clean. Location is suverbs from sydney downtown, but it is good access to the city, too. Stay was fine. While very basic the room was fine for my purposes. Bed was clean with nice bath towels and hot shower. TV worked well unlike many other motels where I have stayed. This hotel is quite adequate for the budget traveller and in fact was better than other motels I have stayed at in the area which charge a much greater price. Staff were friendly and helpful. Will stay again. Can't thank you guys enough for a wonderful stay. Will definitely stay again! Stay here on a regular basis, got one of the new refurbished rooms, great job done. Staff always friendly. Since the new management has taken over, there is a great improvement in the standard of the hotel. Although it's a budget hotel the new management are doing great. It's always a good experience. The manager is very friendly and nice. Terrible sleep, the bed is as hard as bricks. It was a king so had the horrible seam in the middle. The QUEEN size sheets didn't fit my KING bed very well and slipped off each night. They serviced my room every day and never changed them for correct fitting sheets. I had read a lot of reviews about the stained carpets and dirty walls etc, but it was a clean shower, clean toilet and clean bed. What more do you want for $69 per night! I would stay there again but not for FOUR nights. For a night or two, sure, but if you value your sleep, then I would pay a little more and stay somewhere else. this hotel is dirty, smelly, the carpets are threadbare, no top sheet at all, no soap-dish in the shower (just the broken bracket of where one used to be) and overall you just wanted to sleep in your car. and to top this off, because of the cricket in sydney at the time the managers saw fit to heist up the price should have the place closed down. ibis - how can you put your name to this hole? seriously! Hmmm, we were asked if we wanted a room without the bunk bed over the top but the receptionist neglected to ask if we wanted a bathroom door with a handle! Our room did not have one and we had to prise the door open to get in. The staff were obviously aware of it because they had stuffed a tissue into it so that guests would not be locked in. Despite the fact the room was non smoking it reeked of stale cigarette smoke and there were cigarette burns in the carpet. The window lock was broken but we were still unable to open it. Positives were a comfortable bed and hot water. Bathroom was very old. We were not expecting a lot for the money but have stayed in other IBIS Budget properties and they have been of a good standard. 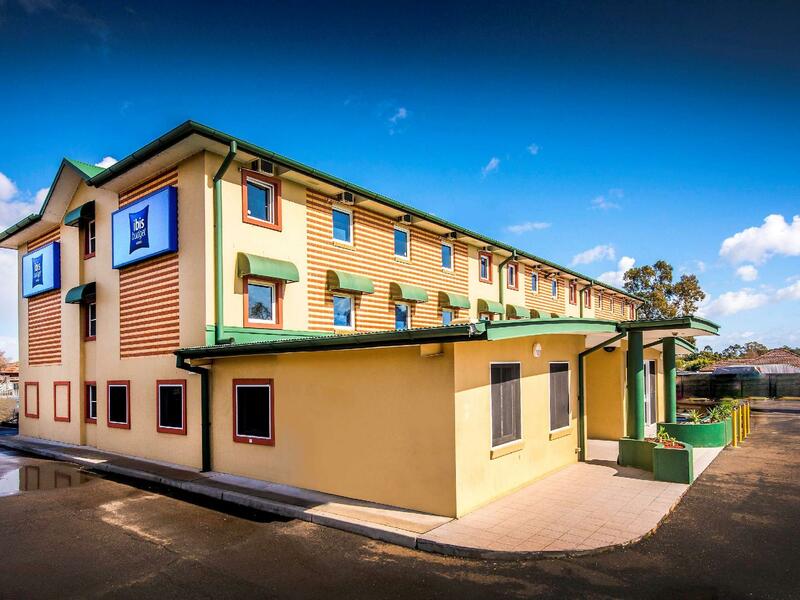 Location of this property is great if you are wanting quick, easy access to the Hume Highway but definitely only for an overnight stay. Pros: mac just 2mins walk Cons: far from train, town, the rest of sydney. Air conditioning not cold and dirty, third floor without light we walk in the dark, take an hour from city .